The Westin Bayshore’s H2 Rotisserie & Bar salutes Vancouver’s Pride celebration with a sheet so fresh you might be tempted to slap it. H2’s Chef Caitlin Mark, a proud member of the LGBTQ2+ community, has created a Fresh Sheet: Pride Edition, available during dinner for two weeks, July 27 – August 10. The colourful three-course meal begins with a Caprese Salad, featuring rainbow heirloom gem tomato, baby bocconcini, lemon basil vinaigrette and balsamic reduction garnish. 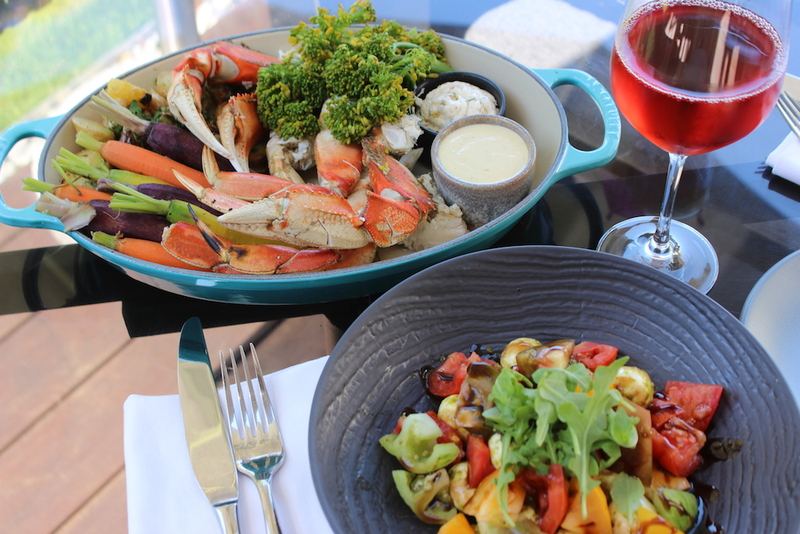 The second course is West Coast Crab Legs, served with fingerling potatoes, roasted heirloom carrots, steamed broccolini and white wine lemon butter sauce. Dessert is a Rainbow Cake that layers vanilla cake, white chocolate and cream cheese icing. The Fresh Sheet: Pride Edition menu is served family-style, minimum two people per order, $40 per person. Guests are also invited to try the $15 Divine Cocktail, which is a trifecta of Pina Colada, Hurricane and Blue Hawaiian cocktails. Proceeds from sales of the Divine Cocktail will go to the Dr. Peter AIDS Foundation.